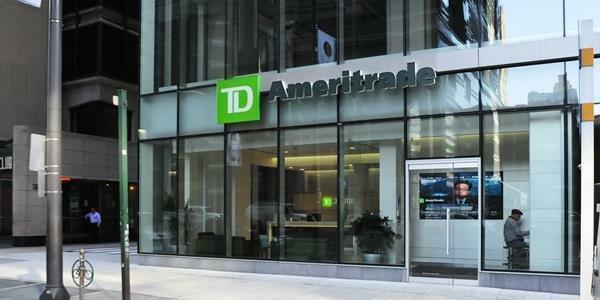 TD Ameritrade Bonuses are available nationwide with bonuses ranging from $600 up to an attractive $2,500. To achieve these bonuses, simply open an eligible account and meet the requirements and any fees associated with the new account. TD Ameritrade offers a wide range of features with your new account experience such as exclusive videos, useful tools, and trading platforms to help you create a personalized plan for retirement. Whether you are looking for a brokerage account or IRA account, the bank definitely has an account to fit all your personal needs. Credit Card Funding: Unknown. Let us know! Make sure to keep the deposit amount in your account for at least 12 months or your award may be reclaimed by TD Ameritrade. Open and fund a new TD Ameritrade Individual, Joint, IRA account or a new account using the Amerivest service. Accounts opened and funded up to $500,000 or more can be able to reap a cash bonus of $1,500 on top of a $150 transfer fee rebate. TD Ameritrade accounts must be registered for the offer by 9/30/2018 and funded within 180 days. You can currently take advantage of $1,000 in Cash Bonus on top of 300 Commission Free Internet Equity for 90 days when you make $250,000 in deposits or more into a new TD Ameritrade Account! Keep in mind that this promotion is good until December 31, 2017. Of course, if you aren’t able to meet the requirement for the maximum bonus, you will also be able to reap the lesser benefits with a much less deposit such as $100 bonus + 300 free trades for 90 days with $25,000 to $49,999 in deposit value. TD Ameritrade is now offering up to $600 cash bonus when you roll over your old 401K into a new TD Ameritrade account good until March 31, 2018. You can receive up to $600 cash when you fund a new account with a deposit of $250,000 or more within 60 days of account opening. Open your account today or contact one of their retirement consultants. Make sure to use the promo code 220 to receive the offer. If you’re a beginner plunged in the vast sea of investments in a fluctuating market, then I definitely recommend the TD Ameritrade Trade Architect platform. Not only that, but you will be able to take advantage of a $600 Bonus when you open a new Individual, Joint, or IRA TD Ameritrade Account funded with $250,000 or more within 60 days of account opening by March 31, 2018. Just make sure to use offer code: 220! Open and fund a new TD Ameritrade brokerage or retirement account by July 31, 2017 with TD Ameritrade and you could earn yourself up to $2,500 in Maximum Cash Bonus when you make the qualifying deposits of $1 million dollars and you’ll also enjoy 90 days of commission-free trading—that’s an additional $2,085 value! This is easily one of the better brokerage options. If you are interested in a TD Ameritrade account, there is an opportunity for you to earn generous bonuses ranging from $600 up to $2,500. All you need to do is meet all the necessary requirements for each account and the features and benefits could be yours! For over 40 years, TD Ameritrade has been proud to help their clients pursue their financial goals while giving them more time to focus on what really matters in life. Everything TD Ameritrade offers — from guidance, to powerful trading tools, to retirement resources — is built around one thing…you. If you would like to be a part of this great financial institution, I recommend you head on in to your local branch today and start your new account experience! If you want to stay updated on all of the Best Stock Broker Promotions, you can find them all on one convenient table from BankCheckingSavings!